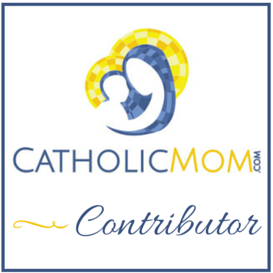 matrimony, parenthood, homeschooling … it's not just life, it's a vocation! Abram had a hard climb ahead. 1 And the Lord said to Abram: Go forth out of thy country, and from thy kindred, and out of thy father’s house, and come into the land which I shall show thee. 2 And I will make of thee a great nation, and I will bless thee, and magnify thy name, and thou shalt be blessed. Abraham is our father in faith. But before he was Abraham, he was Abram: an old man who had never been able to have children. A pagan, like everyone else, but a pagan man striving to live what we would call a holy life. Abram probably would have just called it being a good person. He probably sensed that there was something – Someone – who was guiding his life, but he didn’t know exactly Who it was. Until one day, God spoke to him, and Abram did what many people would think was completely crazy. Before anything else happened, before he had any strong signs, Abram was ready to listen to God, follow God, and live his life according to God’s plan. He packed up his family and left his homeland. He even left some extended family behind. In today’s world, we don’t see anything out of the ordinary about that. After all, we move around all the time. Our family moved 800 miles away from most of our family (and my support network!) when my husband got a job transfer. We picked up and moved away from everything we had known as a young family and settled down here in Virginia. I had no family here. I knew no one. My children had left all of their friends (and their beloved cousin!) behind when we moved. But we had prayed about it and felt that it was certain that God had plans for us in Virginia. We, too, were blessed by the move. I grew more independent, got involved in a homeschool co-op where my children and I have made life-long friends, found that we were at home in our new parish, and much, much more. But the initial move was scary, even if it was also a bit exhilarating. I wonder if Abram and Sarai were also apprehensive about leaving. At that time in history, it was unusual for a family – even extended parts of that family – to break off and leave. Families stuck together, living and working together and providing support and love to everyone. Communities were very close-knit, and I’m sure that Abram’s journey to the land God promised him created a big hole in his old home town. But Abram knew God had a plan for him, so he trusted God. Abram didn’t know everything about God’s plan, though. Somehow, he was going to be the father of a great nation, and everyone on earth would somehow be blessed by Abram’s family. How this would play out was beyond Abram, but the Bible doesn’t say that he asked many questions. His faith was amazing, and even St. Paul commented on it in his letters, saying that he found justification through his faith in God. And though God did reveal His plan for Abraham, it was done little by little. God promised Abraham a lot: that he would be the father of a great nation of people, that his name would be great, and that everyone on earth would be blessed through him. Abraham trusted God, even though he would never see most of these promises come to be during his earthly life. But eventually every promise was fulfilled. God blessed Abraham with a son, and this son would be the grandfather of the heads of the twelve tribes of Israel. He would be remembered always as a man of great faith. And through his descendants, God would bring the Messiah into the world, so that every nation would be blessed by Abraham’s family. This is the beginning of the genealogy of Jesus. Here, God is slowly putting His plan into action.